Lyman Belding : Surf-riding at Hilo, 1853. 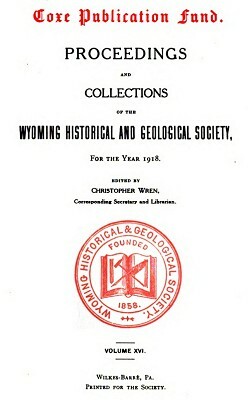 Wyoming Historical and Geological Society. K. BAKER, IN THE CONDOR, OF EAGLE ROCK, CAL. I was born June 12th, 1829, at a locality known as West Farms, on the west side of the Connecticut River, opposite Amherst College. My memory does not go back quite so far, but I have seen it so recorded in the old family Bible. *Lyman Belding, in his younger years, lived in the Wyoming Valley, Pennsylvania, and is still remembered by some of our older people. It seems altogether appropriate that we should make note of those who go out from among us and do creditable work in other fields; thus adding something to our knowledge of the beautiful world in which we live, and it is for this reason that this record of Lyman Belding and his work is made in our publication. His story, which was brought to our attention by Mr. J. Bennett Smith, one of our Life Members, is published just as he wrote it, and from its very ingenuousness we can form some idea of what manner of man Mr. Belding was. We have copied the record of Mr. Belding's work in California as an Ornithologist from the Condor of Eagle Rock, Cal., and we are also indebted to them for the half tone portrait of him which we publish. We extend our thanks to the Condor for the courtesy shown us.—C. W.
We returned to the Sandwich Islands after a cruise of four or five months and anchored at Hilo where we stopped about a month. While taking fresh water, about a dozen Kanaka girls came and jumped off nearby cliffs, going down erect, but quickly after striking the water they would pop up almost clear of it. These cliffs must have been nearly a hundred feet above the water. in the breakers near us. The natives early in life become expert swimmers. I have seen mothers teaching their children to swim before they could walk. bring him to the ship. I, with others, volunteered, and got capsized in the surf. The bow of our whaleboat got too far over the surf, dipped into still water and the boat turned a somersault pinning one man under it. I saw one of his legs, grabbed it and pulled him out, his mouth full of sand and salt water. From Hilo we went to Lahaina, Island of Maui, stayed a day or two and went to Honolulu, soon after which the Julian went to the Arctic. I left her, though Captain Cleveland wanted me to go with him. I got no pay for what I did on the Julian and my wardrobe was nothing to boast of. This was in the spring of 1853. Geoff Cater (2017) : Lyman Belding : Surf-riding at Hilo, 1853.